Another week done, I really can’t believe how quickly this summer is whizzing by! 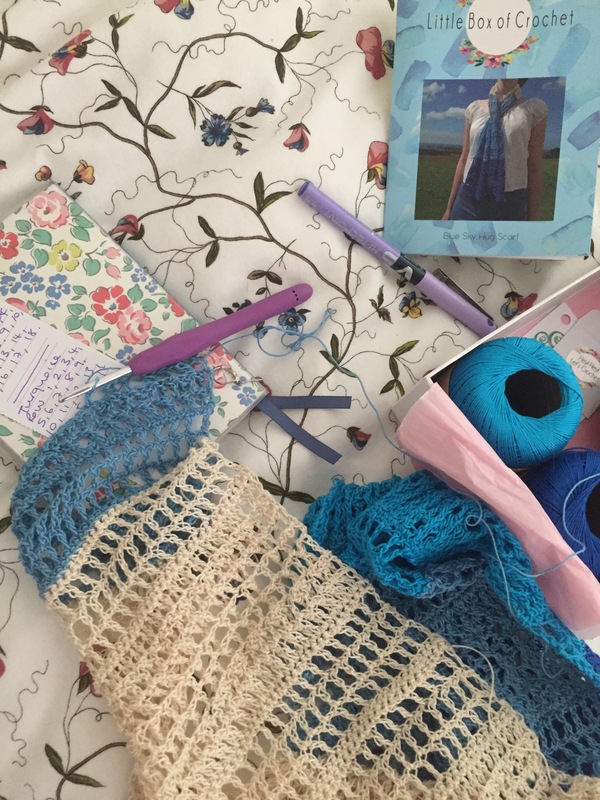 I set myself a summer craft challenge to do something crafty throughout July and August in order to save my sanity throughout the long school summer holidays; here’s installment number 5 of my weekly updates for my summer craft challenge this year. We had a bit of a road trip last Saturday, 5 and a half hours to be precise, from Gibraltar to Southern Portugal. 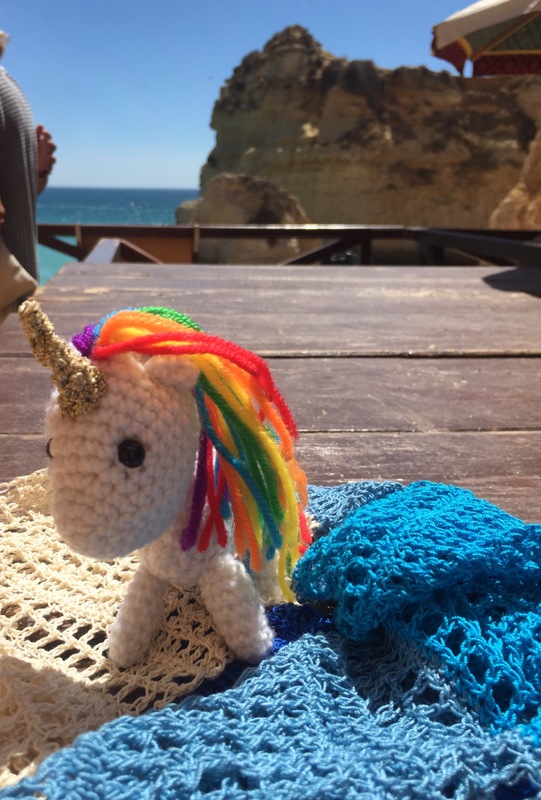 We packed up the car and headed off for a wonderful week in the Algarve. 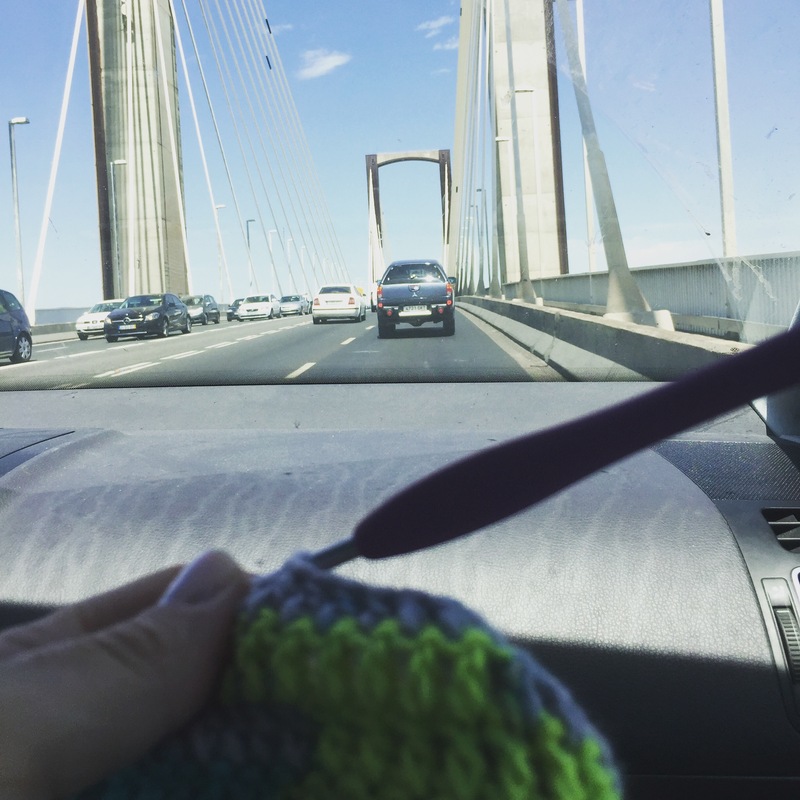 A bit of passenger seat hooky helped pass the time as we traveled across Andalusia. This photo was taken as we were crossing the Reina Sofia bridge in Seville. 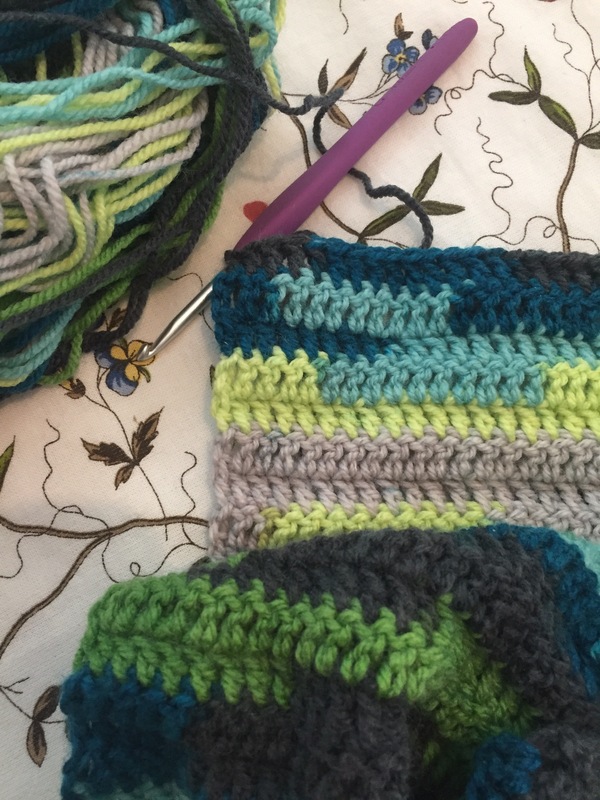 At last my holiday meant there was time for me to be able to concentrate on one of my medium term WIPs (works in progress), my Blue Sky Hug scarf from Little Box of Crochet. I have been working in this off and on for a couple of months now, but the pattern requires a decent amount of concentration and I have had to rip a good few mistakes out and start large sections again several times. It was put back in its little box until I was in the right frame of mind. 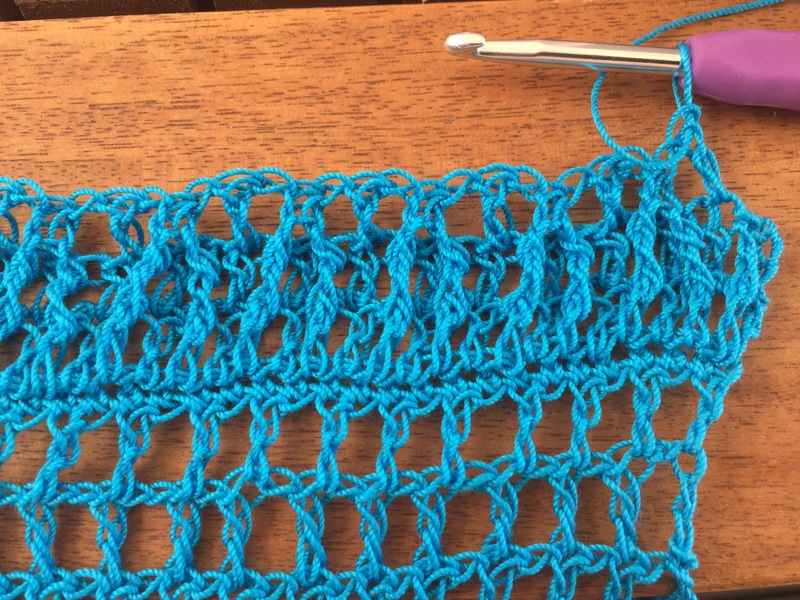 Peace on holiday (well briefly 😉), meant I had the brain capacity to have another go at unraveling mistakes and figuring out where I was up to with the pattern. 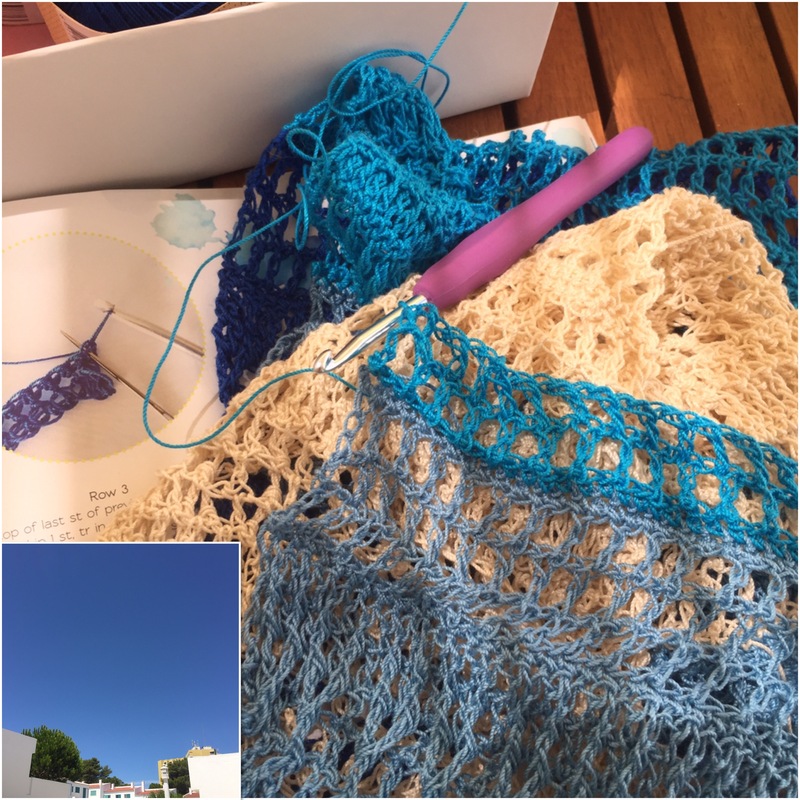 Clear blue skies overhead were the perfect conditions to push on with my Blue Skies Hug scarf! Arghhh, oh no! I’ve done it again… another mistake! It looks ok, but I’ve actually got an extra two stitches on two rows. Time to out it away again after giving it a stern talking to. 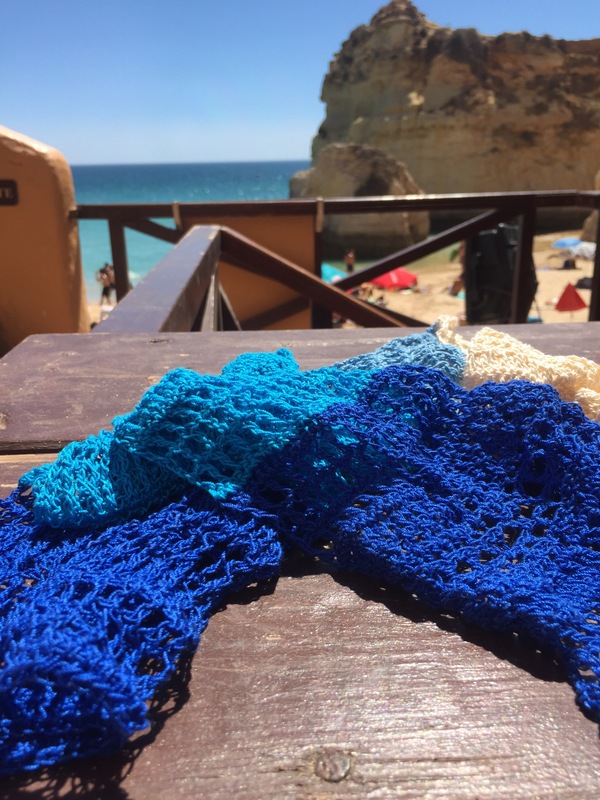 I’m in a huff with the blue scarf, so enjoyed a few rows of mindless trebles between a trip to the beach and dinner… Oh I do like holidays! 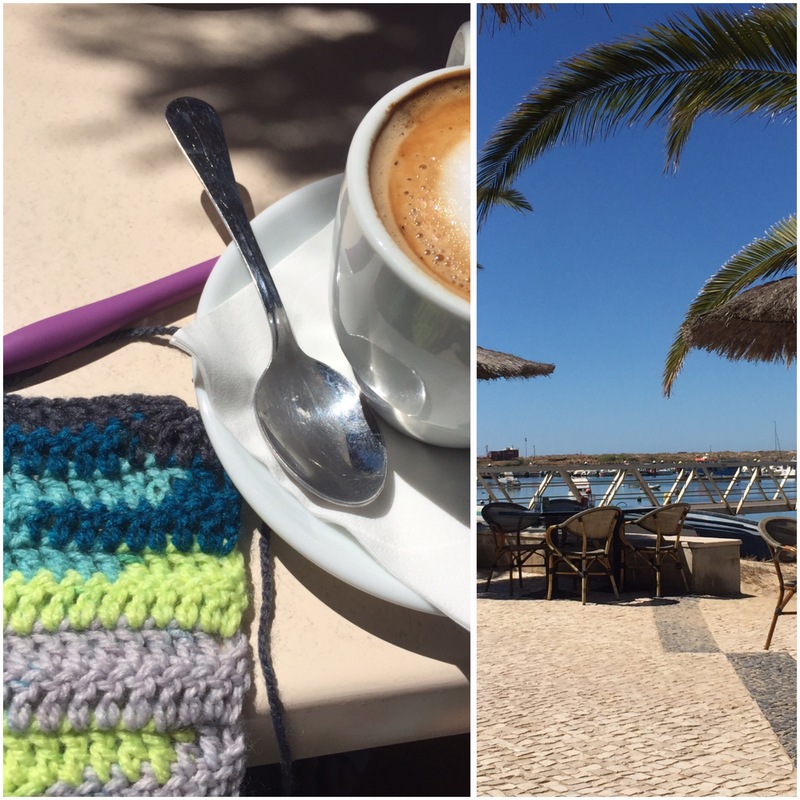 Alfresco coffee and crochet by the River estuary in pretty Alvor… A perfect morning break. 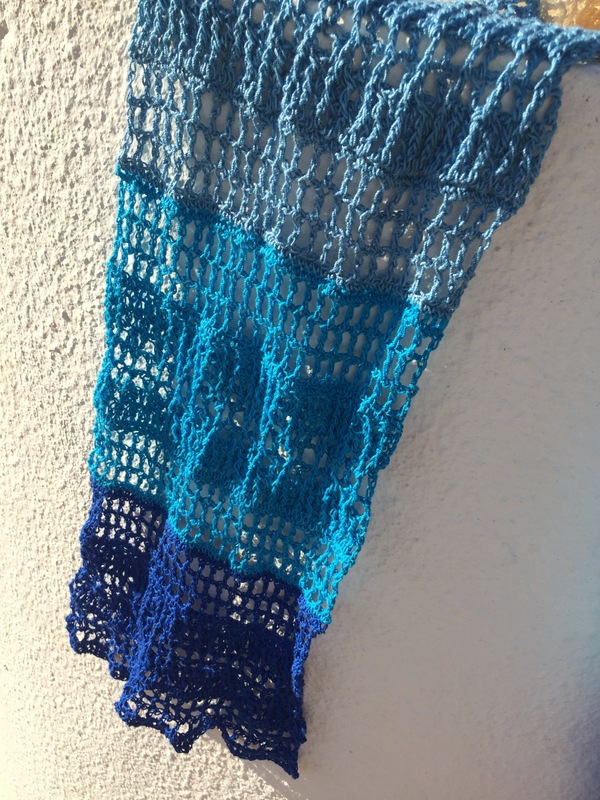 You’ll never believe it, but I actually finished my Blue Sky Hug Scarf! It hasn’t been blocked yet (as you can probably tell) but in my eagerness to photograph it against the backdrop of the brilliant blue skies we were enjoying yesterday I am sharing it with you already.. It just goes so well with the colours of the sea and sky don’t you think? I’m really pleased with it now it’s finished.. I’m not ashamed to admit that I fell out with it a few times while I was in the process of making it though! That’s all for this week’s Summer Craft Challenge, I was supposed to post this yesterday, but painfully slow internet and then none at all meant I decided to wait until we were back in Gibraltar, which we are now. It’s bright and sunny and thankfully not as hot here as the 41.5 C temperatures we ‘enjoyed’ on the drive back! Do you fancy joining in with your own summer craft challenge? Just tag your photos #summercraftchallenge2017 on Instagram and we can all craft together! Well done with the Blue Scarf! Love the photos against the blue sky. Thank you! I couldn’t resist taking those photos – I got a few strange looks and my eldest disowned me again, but it was too good an opportunity to miss! I still occasionally manage to embarrass my kids who are now in their 30s and 40s – I see it as a triumph! Well Done You! Stunning colours in your scarf and lovely against the white and blue bakground. 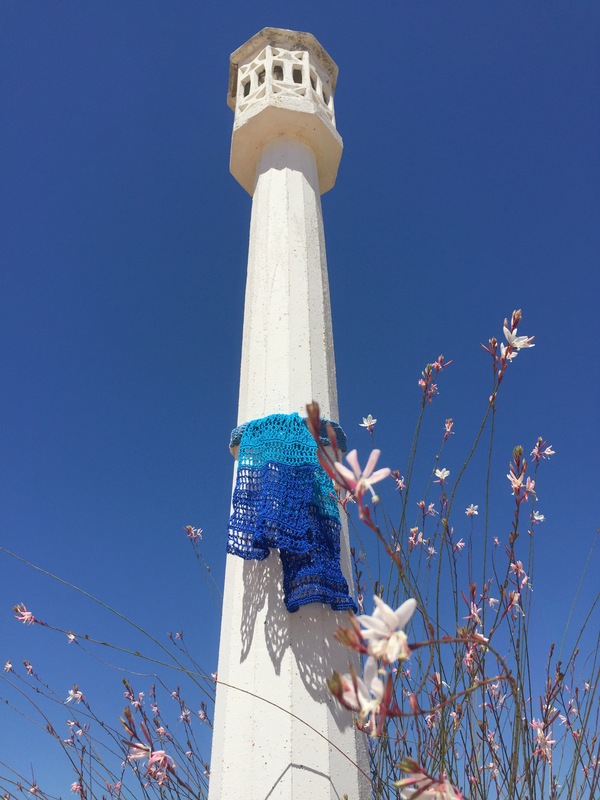 The blue scarf is beautiful and reflects the beautiful blue sky wonderfully!